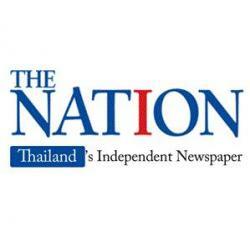 Total Access Communication (DTAC) and CAT Telecom, which owns the company’s 800MHz and 1800MHz concessions, have put forward a subscriber protection plan for the National Broadcasting and Telecommunications Commission’s approval, following the expiration of DTAC concessions on September 15. Both company’s confirmed that the best interests of the customers would be upheld by providing them with a continuous service for the duration of the “remedy period”, in compliance with NBTC requirements. The term “remedy period” refers to the time after the concession expires when the NBTC allows the operator to continue to provide the service on an interim basis to prevent service disruption. DTAC chief executive officer Lars Norling said that there are still large numbers of active subscribers on 800 MHz and 1,800 MHz frequencies, whose interests must be protected. “DTAC and CAT will endeavour to maintain service quality in accordance with NBTC measures and announcements. We are also stepping up efforts to encourage the migration of remaining 2G subscribers by offering incentives to upgrade them to 3G and 4G,” added Norling.